Surprise qualifiers Panama will make their World Cup debut at Russia 2018, and have been drawn in Group G to face European heavyweights Belgium and England, as well as Tunisia. 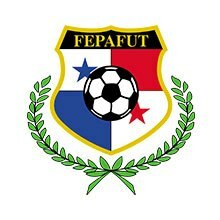 Panama qualified for the World Cup finals for the first time ever after beating Costa Rica in a shock final round of fixtures in the North American hexagonal. Panama’s late win against Los Ticos, sealed by Roman Torres’ 88th-minute strike, combined with Trinidad & Tobago’s win against the USA put Panama through. That, despite losing 4-0 to the USA just four days earlier too. Panama progressed despite scoring just 16 goals from the 16 games they played across the fourth and fifth rounds in qualifying and winning just two of their eight away games. They finished second behind Costa Rica, ahead of Haiti and Jamaica, in the fourth round and then sealed that dramatic third place after Torres’ goal in the fifth round. Panama have never previously qualified for the World Cup finals and will make their debut at Russia 2018. Panama were forced to call Gent’s Ricardo Avila up to replace the injured Alberto Quintero after the experienced midfielder fractured his metatarsal during Panama’s warm-up matches. After a chastening 6-0 friendly defeat to Switzerland in March, it is expected that Panama will line-up defensively to face England and Belgium, with a five-man defence and two holding midfielders. Experience has been the order of the day for Panama, with Jaime Penedo seemingly set to be preferred in goal despite not featuring regularly at club level for Dinamo Bucharest. Penedo is 36, captain Felipe Baloy is 37, Roman Torres – fit again after a recent injury, having scored the foal that sent Panama to the World Cup – is 32 but has been capped more than 100 times, while 33-year-old Gabriel Gomez is closing in on 150 international caps. Goal kings Blas Perez and Luis Tejada celebrated their 37th and 36th birthdays in March, respectively, at which point they had 220 international caps and 86 international goals between them. While few of Panama’s players will be known to European football fans, striker Gabriel Torres did once have a trial for Manchester United. He is competing with the country’s all-time joint top goalscorers, Blas Perez and Luis Tejada, for what is likely to be a solitary starting spot. Defender Roman Torres scored the goal that sent Panama to the World Cup, and the dreadlocked defender is likely to be key in Russia too. A draw with Wales has been Panama’s best result since securing World Cup qualification, having suffered defeats to Iran and Denmark either side of it. Armando Cooper’s 90th-minute equaliser earned Panama the draw against the Welsh in November, but in March they lost 1-0 to Denmark and then 6-0 to Switzerland in back-to-back games. An entirely domestic-based squad restored a little pride, however, when Josiel Nunez scored a 90th-minute winner against Trinidad and Tobago in a friendly in April. They then drew 0-0 with Northern Ireland at the end of May to restore some defensive pride too, before a 1-0 defeat to Norway in their final warm-up match.